It’s a snack that’s so well known in China most people would barely give it a second glance -- the famous "jianbing", or roadside pancake you can grab on the go. Otherwise known as my breakfast of choice when I first moved to Beijing. Until recently, these popular cheap eats were entirely unknown in New York City. Mung bean and rice flour batter. Add an egg. Then scallions. Sauce, paste, cilantro, won tons added. Flip it - then hoisin sauce, chili paste, cilantro... and don’t forget the crispy wontons. But - what’s this? Barbecued pork? And now you know you’re not in Beijing but at Mr. Bing’s, one of the first jianbing stands in Manhattan, serving the delicacy with an American twist. 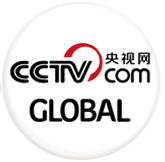 Its owner studied Mandarin in the Chinese capital. "Every morning before school, I’d wake up and I was hungry. What do you eat for breakfast? The only thing outside the school was this little bicycle cart with an old lady on the back of it making jianbings, so that’s what we ate. 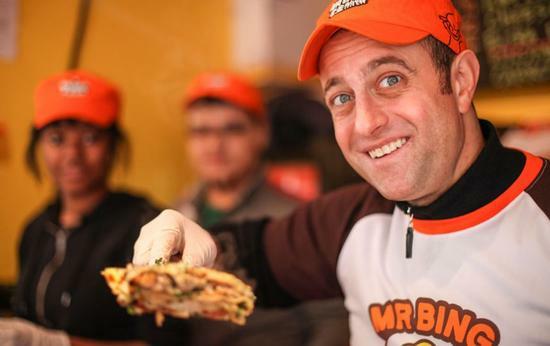 It was the most common, traditional breakfast to eat," said Brian Goldberg, founder and CEO of Mr. Bing. He resolved to bring it back to his hometown…. Where, at $10 a crepe, it seems to be a hit. And for Manhattanites, that could be… more jianbing. 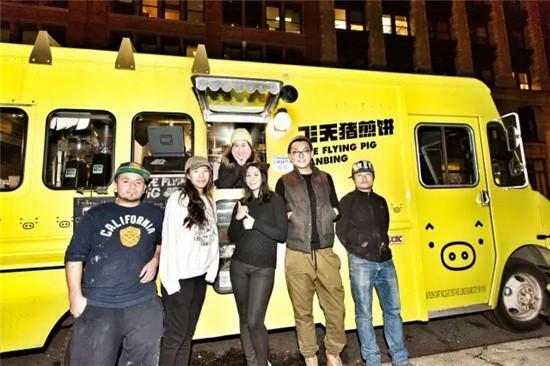 The city now has a choice of places offering the snack, including this bright yellow food truck.The Flying Pig was founded by Dolkar Tsering, a finance student from Sichuan Province - and her business partner from Beijing - who both just wanted to get their favorite food in New York. "We start off at Columbia, first off, with all Chinese students. Because you cannot get jianbing in Manhattan before we started, over one year, and they are so exciting. And also it tastes good, and they come back, and the news spread," said Dolkar Tsering, co-founder of The Flying Pig Food Truck. And that business model still seems to be working. Whether it’s a new experience or reminds them of home, it seems this humble Chinese street food is fast becoming the Big Apple’s next snack sensation. And for Manhattanites, that could be… more jianbing. The city now has a choice of places offering the snack, including this bright yellow food truck.